Port Townsend, November 30, 2007. 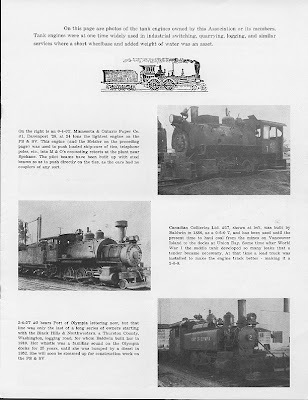 Whilst researching a new article on railroad derricks and cranes, I tripped over a wonderful blog entitled "My Dad's Trains." A fellow named Bill "started the blog to share (his) Dad's pictures he took before (he) was born and I thought I'd share them so folks could remember a quieter peaceful time, and when the railways still had a personality." 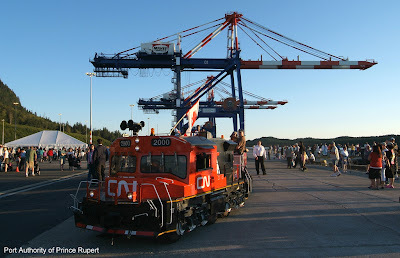 Why I found this blog so exciting is, that it is about the experience's of a young man, who, like me, was learning about and riding locomotives, within a few years of my experience, also on the Canadian National, but in Nova Scotia, as far from Prince Rupert BC as one can get! His entry "Cab Ride" April 8, 2007 was electrifying for me. It reflects almost word for word what I experienced on my first cab ride, right down to the view of the Steam Generator Car! Highly recommended - give it a view! 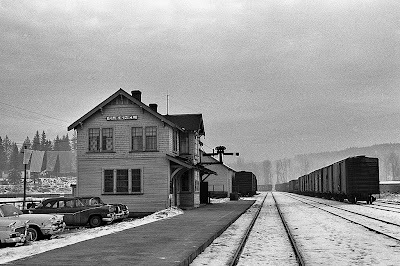 Interbay Roundhouse, Seattle, January 1960. Wow! What a find, tucked away in the back of the Great Northern roundhouse. 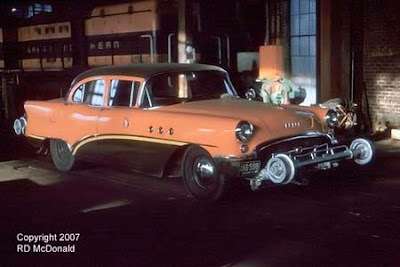 A 1955 Buick Special inspection car. Well, what the heck, if you've got to do a track inpection, might as well do it in style! I managed to uncover a covey of old time motor vehicle inspection cars, check it out! Fort Bragg California, October 1966. 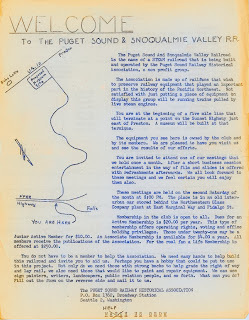 I was driving to Seattle on leave (stationed at Hamilton AFB from 1963 – 1967), choosing the 101 over I-5, which was still under construction. Plus that, the 101 is more scenic! I ran across this little gem, making a heck of a racket at the grade crossing. Looks like a revenue load! This is California Western M-100, a self-propelled rail bus. She was purchased to carry passengers and loggers along the line running from the famous Mendocino Coast inland to Willits, California. 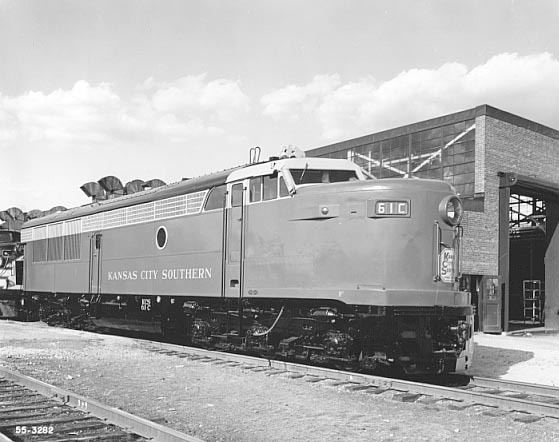 Manufactured by Edwards Rail Car Company. Someone told me this was a one-of-a-kind circa 1925, and earned the skunk logo because - they stank! 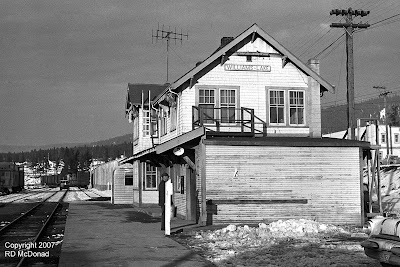 Williams Lake, B.C., November 1959. A sudden sense of urgency overtakes me, as it suddenly dawns on me that I won’t be back this way again – if ever. Our family is in transit back to Seattle after three years living in Prince Rupert. 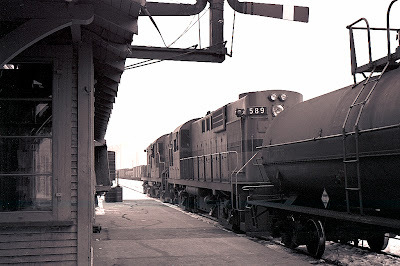 My Dad was very tolerant of me, as he’d stop the family bus every time we saw a locomotive, as we headed south. Located on the east bank of the Fraser River, midway between 100 Mile House and Quesnel. The village was apparently named after Jack Williams, a Cornish settler, some say "squatter." 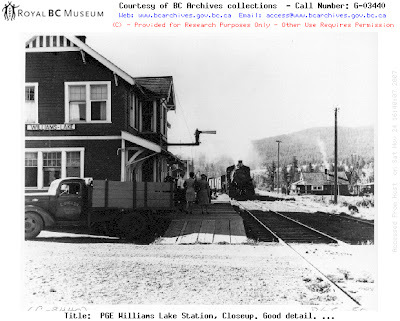 Incorporated as Williams Lake Village Municipality in 1929; re-incorporated as a Town Municipality in 1965, and re-incorporated as a City in November 1981. 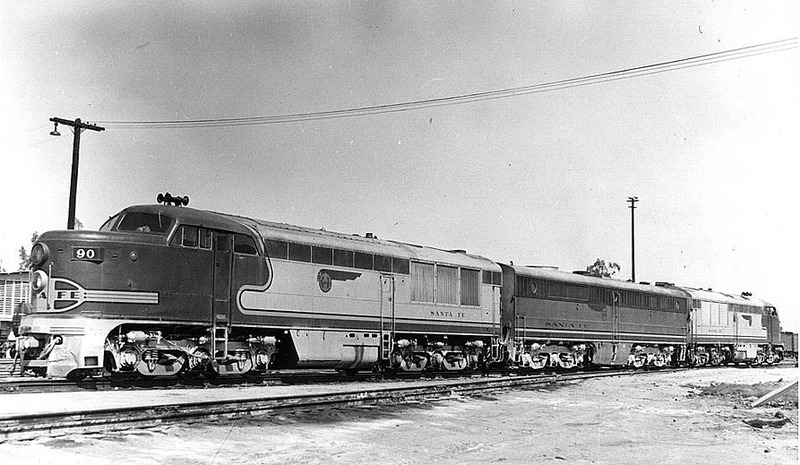 American Locomotive Works had a mirror partner in Canada, the Montreal Locomotive Works, where these two handsome units were built in 1951. I always admired the “skylight windows” of the cab. PGE 561 and 565 have stopped their north bound run to Prince George long enough to set out a string of cars. 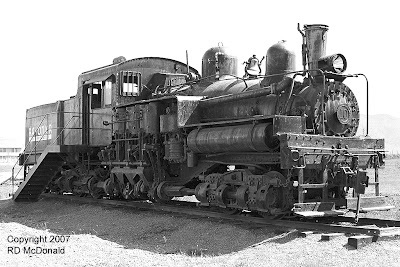 Soon they will be reconnected, and whistle off – the asynchronous burble of two 4-cycle engines, which slip in and out of sync with each other was quite distinct! 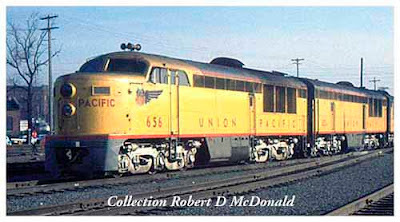 PGE 565 was rebuilt as a slug – power unit only with no cab – in 1986 after PGE became BC Rail. And PGE 561 after a remarkable 35 year run, found a new life at the West Coast Railway Association in Squamish, north of Vancouver, BC. Take a few minutes to explore their Web Site! I’m motivated and determined to save my pennies and take a trip up there. They’ve taken over the former PGE/BC Rail round house, so they are in good shape for maintaining their collection. 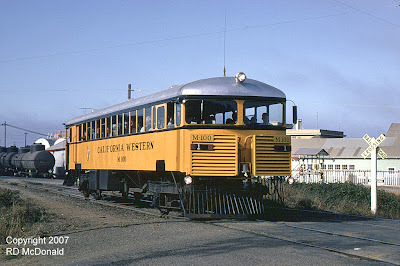 Railroad Stuff: PGE 561, built 5/51, sn 76014, retired 4/72, to West Coast Railway Association 1986. 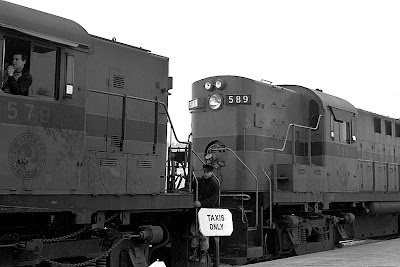 PGE 565, built 6/51, sn 76016, rebuilt as a slug S409 in 1986. Apparently still in service when CN took over operation 0001 hours, July 15, 2004. Prince Rupert, 1959. 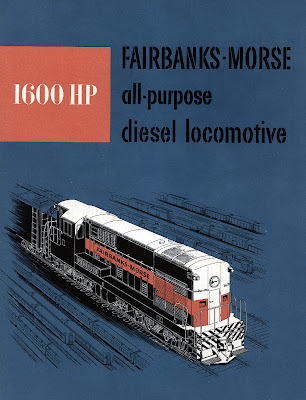 "No other engine is so right for railroad service" So stated the Fairbanks-Morse brochure. 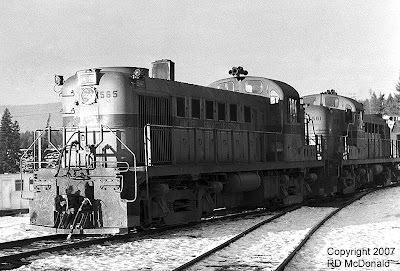 I was fifteen at the time, and had developed an instant love affair with railroading. Not only was I able to look and touch locomotives, in the westernmost outpost of the Canadian National Railways – Prince Rupert – I was also able to ride in the locomotives. All I knew at that time was GMD F’s, Geeps, and RS-1200’s. But through Trains Magazine and Railroad Magazine, I was able to learn about other types of locomotives. My Mom and Dad marginally accepted Railroad Magazine – they did publish fiction stories that were a little revved up! 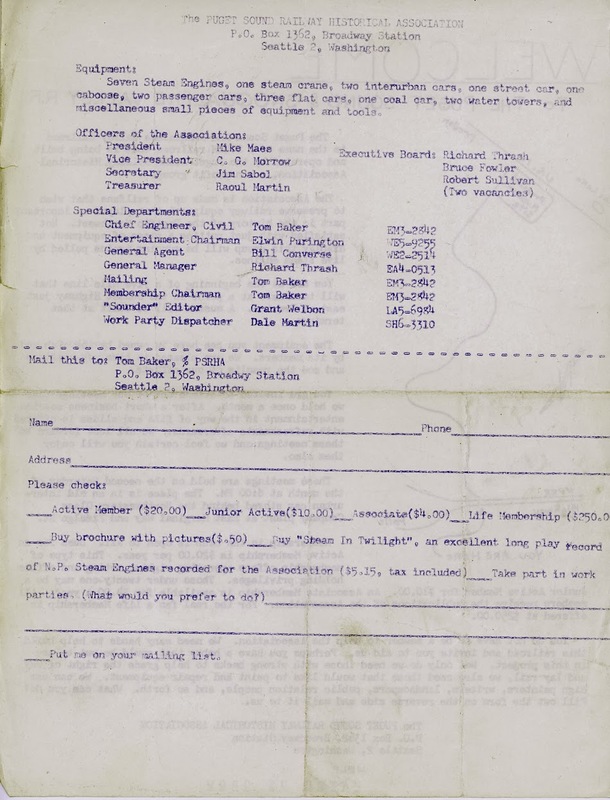 I wrote to English Electric, Baldwin-Lima-Hamilton, Budd, GM, and Fairbanks-Morse, requesting builder’s photos and specification sheets. And by writing, it wasn’t like the instant gratification of today’s computerized youth. 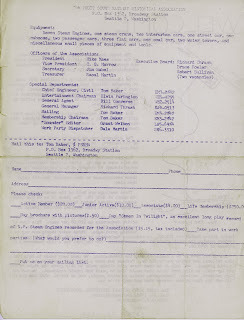 In those days, I painstakingly typed, on a manual typewriter, my letter. If I made a mistake, I ripped out the paper and started all over again. My Mom would proof read my letters, and that would occasionally send me back to re-type the letter. She taught me the proper way to fold a letter, so that the recipient could open it, right side up, ready to read. I would bet these are lost arts. 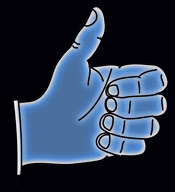 Weeks – not seconds - would go by, and finally, one-by-one, my responses came back. I still have the correspondence, in the original over-size envelopes. Except for one. From Baldwin-Lima-Hamilton. I got a number 10 envelope from them with a letter informing me that they had ceased operation, and that the photos and specification sheets were no longer available. I still have that letter. 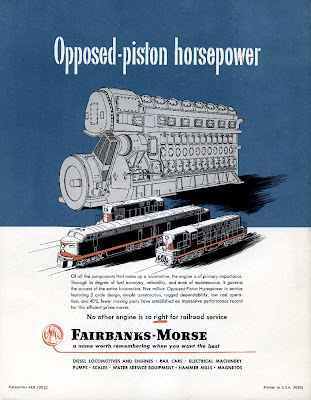 Fairbanks-Morse caught my attention with their beefy looking opposed piston engines. 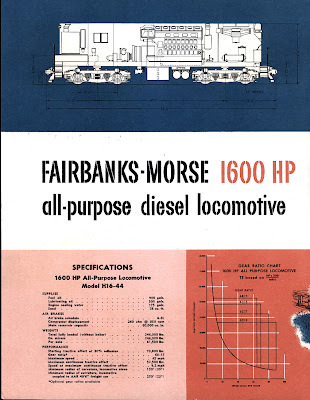 My Dad, who was Chief Engineer on the Comet, lugging a rail barge between Prince Rupert and Ward Cove Alaska, shook his head when he saw that motor. 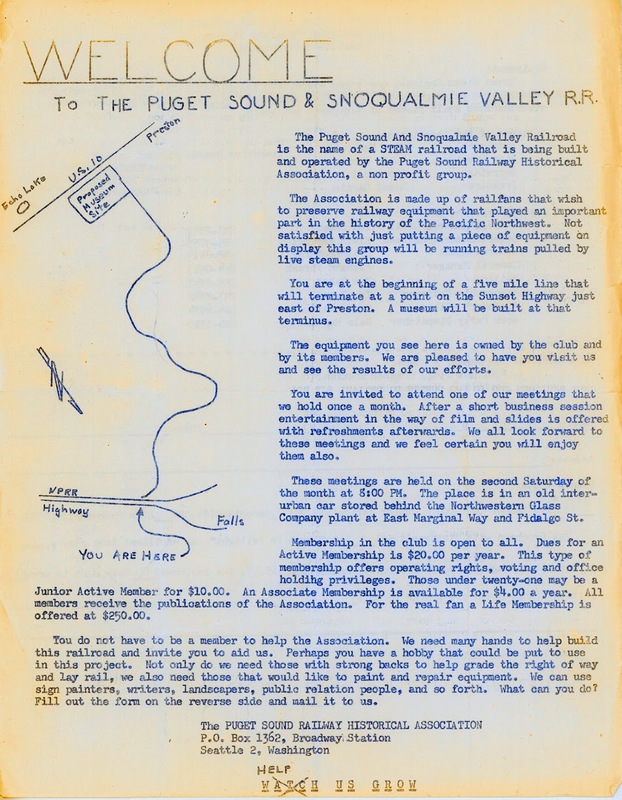 His last posting, on the Mikiona, Hawaiian Tug & Barge powered by an O-P motor, the last three years leading up to his retirement in 1975, his comments were the exact opposite of the brochures “ease of maintenance” which I can’t publish here! Indeed, I had a friend in Portland, Oregon, who rode the O-P’s stated that if they got to Hinkle from Portland, with 3 of 4 units still on line, it was a good run! Urban Legend has it that the end of WWII found Fairbanks-Morse with a building full of motors that were destined for the Navy. They put these 8-cylinder blocks on rails. Something must have gone wrong, because when the dust settled, GM was out in front of the pack. 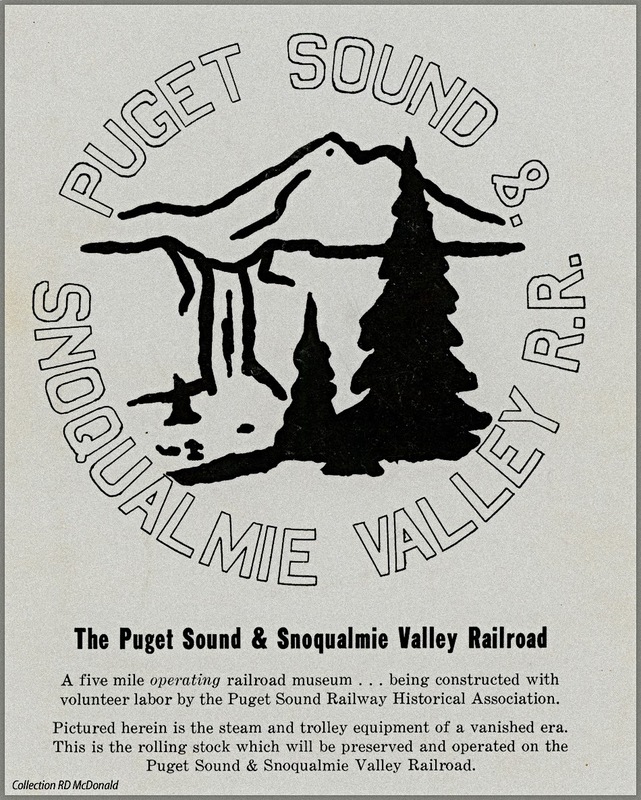 In 1958, the family took vacation in Seattle. Driving down the Thompson and Frazer River Canyons, I was able to see “real live” locomotives other than what I was used to. And so I was really THRILLED to see Canadian Pacific Railway 8719, one of those Fairbanks-Morse H16-44’s at Spence’s Bridge! 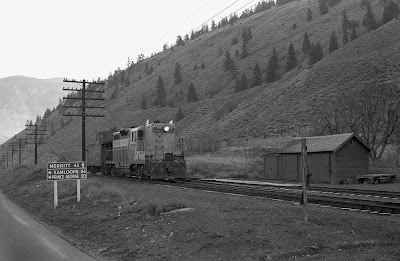 Railroad stuff: CPR 8719, Canadian Locomotive Works, 5/57, Spence’s Bridge BC, July 1958. Spence’s Bridge, November 1959. At this time, a lonely outpost located at the confluence of the Thompson and Nicola Rivers, northeast of Lytton. Originally called Cook's Ferry after Mortimer Cook who ran a raft style cable ferry across the Thompson River, it was later re-named after Thomas Spence. Spence, a Royal Engineer and road builder, won the contract to build a bridge across the river to replace the ferry during the construction of the Caribou Wagon road. The bridge then became known as Spence's Toll Bridge. 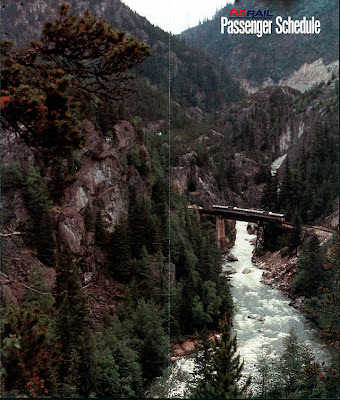 Unfortunately the bridge was built too low and during spring runoff in 1894 it was washed away. 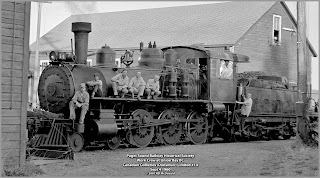 After the gold rush, the town became a farming and railroad community, which it remains to this day. 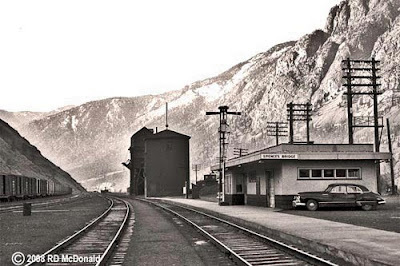 The site of the Last Spike of the Canadian Northern Pacific Railway is located on Highway 1, approximately 10 miles north of Spence’s Bridge on the east bank of the Thompson River. The rail line is now part of the Canadian National Railways system. Evening shadows come early in the Thompson River Canyon. 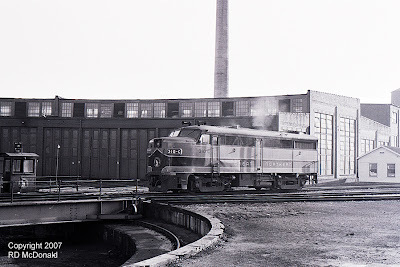 A Canadian Pacific GMD GP-9 8487 scurries into Spence’s Bridge under cover of white flags. Mileages on signs are "pre-metric" shown as "miles." Notice the ubiquitous snow shovel and broom hanging beside the switch stand. Containers also come in a 40-foot, that you typically see on the highway. 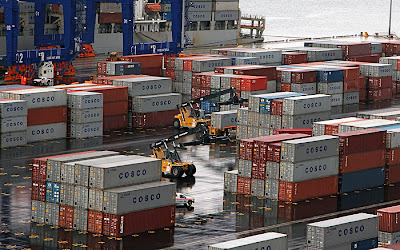 A 40-foot container would equal two 20-foot units. The next time you are stuck behind one at a light, read the vast amount of information concerning the dimensions and weights – all of which are factored into loading a vessel. So we’ve all seen pictures of container cranes lifting containers off the ship, and loading them onto a trailer, ominously referred to as a bombcart pulled by a yard tractor. The name seems to be derived from carts used to haul bombs to aircraft. 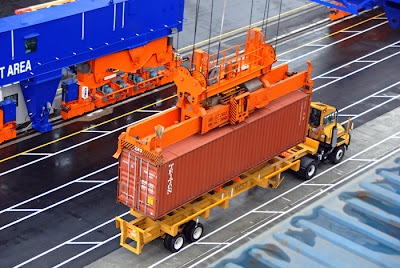 Some yards use modified forklifts or straddle-carriers; to unload the bombcart, placing the container in an assigned order for loading onto rail cars. 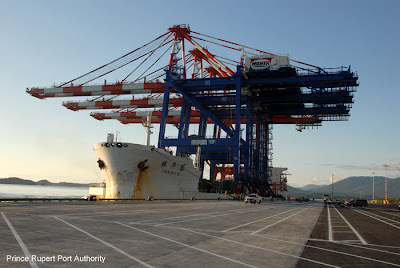 The vehicle of choice in this facility is the Kalmar DRF450-605SXC reachstacker, an odd looking material handling machine with a long boom connected to the spreader which grasps the container. Look carefully - there are two in this photo. It’s also used to load the to load the double-stack rail cars. Here is the entire process - from ship to rail. 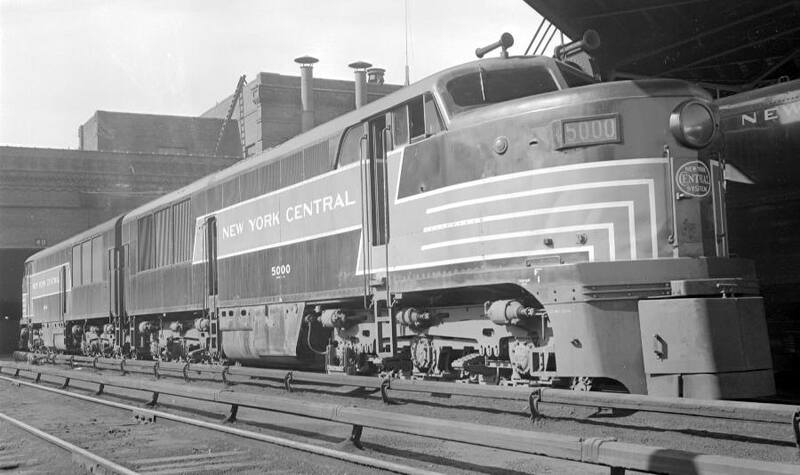 Once the rail cars are loaded, and the locomotives connected, an impressive train is ready to go. 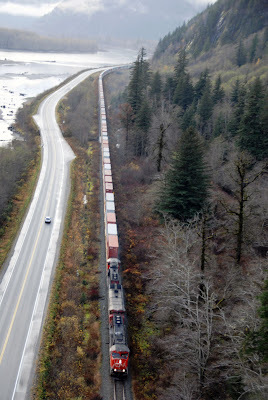 The first container train out of Prince Rupert on November 1st 2007 was 180 double stack cars – 360 containers, some 9,000 feet or 1.7 miles long, heading for Chicago, 3,000 miles and 105 hours to the east! When I first saw this photo - shock! Gone is the unnerving gravel road sans shoulders! Pavement, with strips, fog line and turn-out! Phooey! The old days were much more "exciting!" 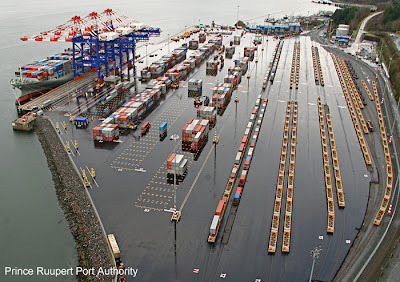 All photographs in this series are Courtesy Port Authority of Prince Rupert. This completes my three-part look at this important piece of railroading history. It was an important follow-up event for, because THIS is where it all began for me, back in 1957. 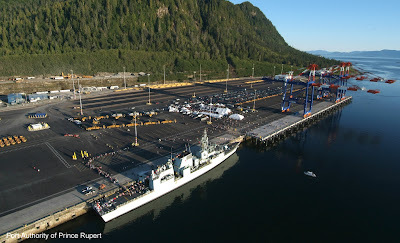 Prince Rupert, September 19, 2007. 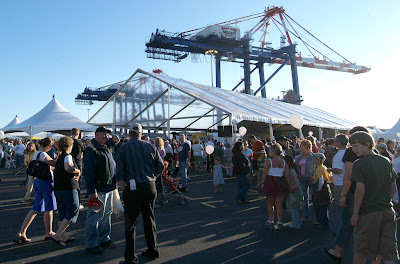 Finally, after years of planning and construction, the public gets to see their new World Port container facility. Right now, just a huge blacktop field, with three massive newly installed container cranes. 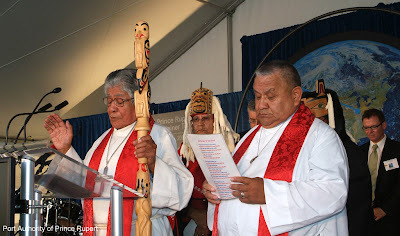 First Nations Tsimshian Chief and officers lead a prayer of unity with this new venture, only fitting, as they were the original inhabitants of this area. 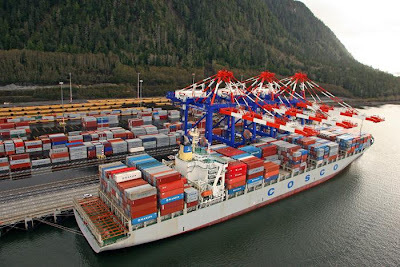 Then the formal ribbon cutting, and smiles all around from local dignitaries, representatives from COSCO (Chinese Overseas Shipping Company) who partnered with Maher Terminal Services, and of course reps from Canadian National. Millions were spent on this facility, and CN ordered not only a ton of double stack cars, and more than 100 new locomotives, lengthen passing tracks, raised tunnel roofs, modified highway overpasses, clearing a "pipeline" directly to Chicago, 3,000 miles and 105 hours to the east. 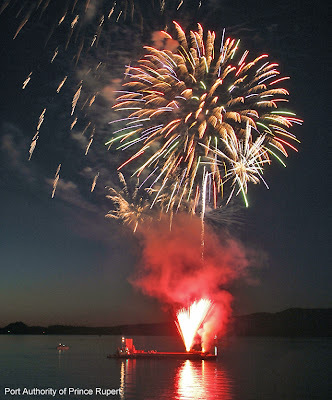 With a day of celebration capped off with a fireworks show! Sure would love to have been there! 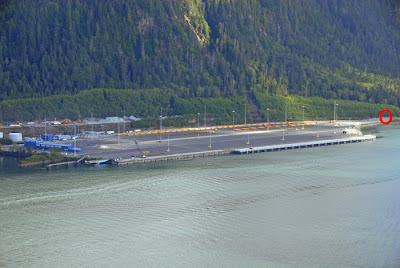 Photos Courtesy Prince Rupert Port Authority. 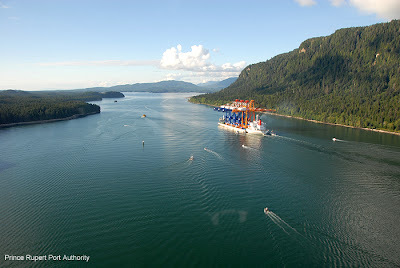 I just reported about the World Port Container facility recently opened in Prince Rupert, BC. 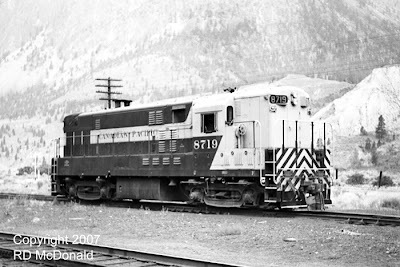 The reason I am so excited about this development, is this is my connection with my teenage years growing up in Prince Rupert, and the beginning of my affection for railroading as a photographic hobby. 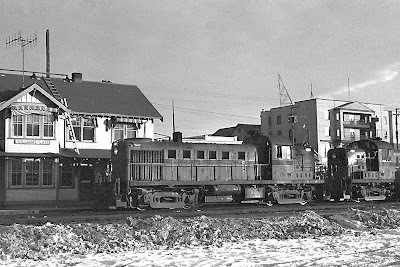 The area where this facility is constructed, south of town, was my favorite area for train watching, as the departing locomotives would be clearing their throats, and settling in for a long run through lonely Northern BC wilderness some 500 miles to Prince George, with a few widely spaced settlements such as Terrace, Smithers, Huston, Burns Lake, and Vanderhoof. The red "O" points to the original main line track alignment. What an awesome sight! 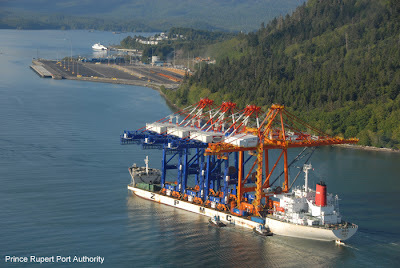 Here we see the 788' Chinese heavy lift vessel Zhen Hua 16 on the approaches to Prince Rupert Harbor. Prince Rupert is on Kaien Island, to the right, and just out of sight to the north. 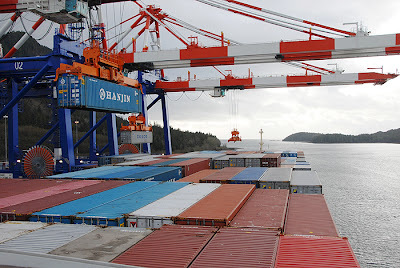 As the vessel approaches the container terminal, we see a total of four cranes on her deck. 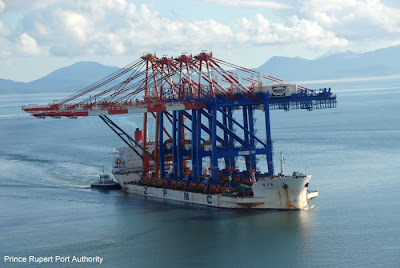 The three blue cranes to be delivered here, the fourth red crane is destined for Vancouver Container Terminals in Vancouver, BC. In the distance, you can see the white hull of the BC Ferry Queen of Prince Rupert, the replacement vessel for the Queen of the North witch hit a rock and sank off Gil Island last year. Just above the white hull, you can barely make out the twin towers of the CN car barge rail bridge, which I detailed in "Box Cars go to Sea." Back in those days, that structure was all alone, south of town. There was a long curvature to Fairview Cannery, and then nothing for 10 miles to Port Edward. Now, as we can see, it's all filled in. In fact on the skyline is the 17-story Highliner Plaza Hotel and conference center - a sky scrapper in Prince Rupert! 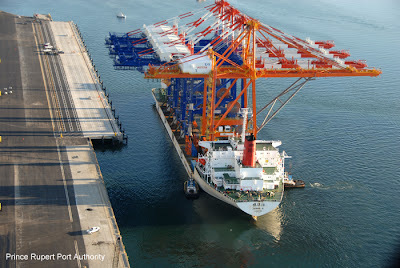 The Zhen Hua 16 slowly passes the terminal, and executes a turn to bring her port side alongside the pier. I don't care how many times you explain the principles of vessel buoyancy and stability, this simply just should not work! By the end of October, these giants will be setup, tested, and ready for the arrival of the first container ship, COSCO Antwerp, at the end of October. There is a feature that has run for years in the Seattle Times entitled "Before and After" featuring photos taken from the perspective of old historical photos. The point being, to see the changes over the years. That's what this means to me. I spent many an hour hiking down the railroad track with my pooch, out in the wilderness. Now it is a blacktopped modern edifice symbolizing the new growth potential for Prince Rupert!